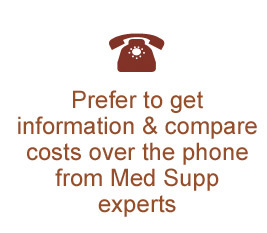 Find local Medicare Supplement insurance agents for all 50 states. 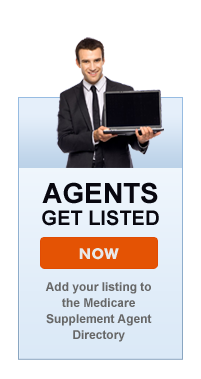 Enter Your Zip Code to see agents nearest you. YOU DO NOT ENTER ANY INFORMATION TO ACCESS THE DIRECTORY. You decide who you want to connect with (if anyone). It’s Free. Try it now. You See Them – No One SEES You! The Medicare Supplement Find An Agent online directory is designed to be a free service for consumers made available by the American Association for Medicare Supplement Insurance (AAMSI). You do not enter any information to access and we do not gather any information on you. It's your choice who you contact (if anyone). To cover costs Insurance agents pay AAMSI a nominal fee to be listed on the directory and AAMSI does not screen or vet agents prior to them being posted. We always urge all consumers to make sure all information is provided in writing, that you make certain the insurance professional you work with is properly licensed in your State and that you read all material carefully. 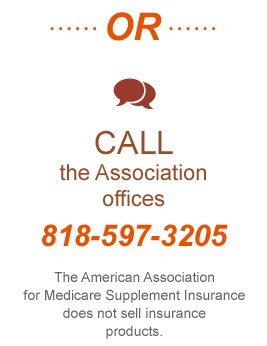 The American Association for Medicare Supplement Insurance does NOT sell any insurance products. We advocate for planning and support agents and insurance professionals and the industry.